Rich Christian, Poor Christian: Is having ambition good or bad? 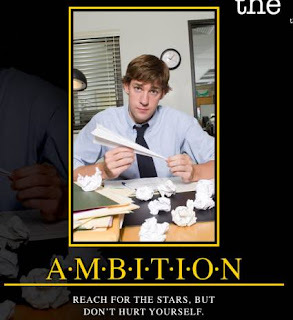 Ambition is an interesting virtue. Depending on the object of the ambition, it can take on either a negative or positive connotation. We can judge many of our leaders, both past and present, through this first definition. Has their ambition been a desire for fame and power, or rather an ambition geared toward accomplishing a greater end? The first desire is a selfish one and not one born out of righteousness. The second desire for ambition is healthy if it is rooted in accomplishing some great task. In Romans 15:20 the Apostle Paul wrote, It has always been my ambition to preach the gospel where Christ was not known, so that I would not be building on someone else's foundation. Paul was an extremely ambitious Christian. After his conversion on the road to Damascus, he had extreme goals to accomplish for the cause of Christ. He took on a position of leadership within the universal Christian church, not out of selfish ambition, but for the greater good of the church. He felt uniquely called of God to take on this mantle of leadership. As you lead others, whether it be at home, on the job, at your church, or in your own unique ministry calling, always monitor your personal ambition. Is it selfish or righteous? Has it been birthed out of sin and the flesh or out of a desire to fulfill God's will for your life? But even if everyone's motives aren't always pure and righteous, just take the view of Paul as seen in Philippians 1:15-18, It is true that some preach Christ out of envy and rivalry, but others out of goodwill. The latter do so in love, knowing that I am put here for the defense of the gospel. The former preach Christ out of selfish ambition, not sincerely, supposing that they can stir up trouble for me while I am in chains. But what does it matter? The important thing is that in every way, whether from false motives or true, Christ is preached. And because of this I rejoice.